On Tuesday, AL.com published a piece about an event coming up this Thursday called "Girls of Fall: Food, Fashion and Fun." It's a gathering in Mobile, Alabama, for people who don't know enough about football but want to learn more about the sport and perhaps how to throw the best football party. 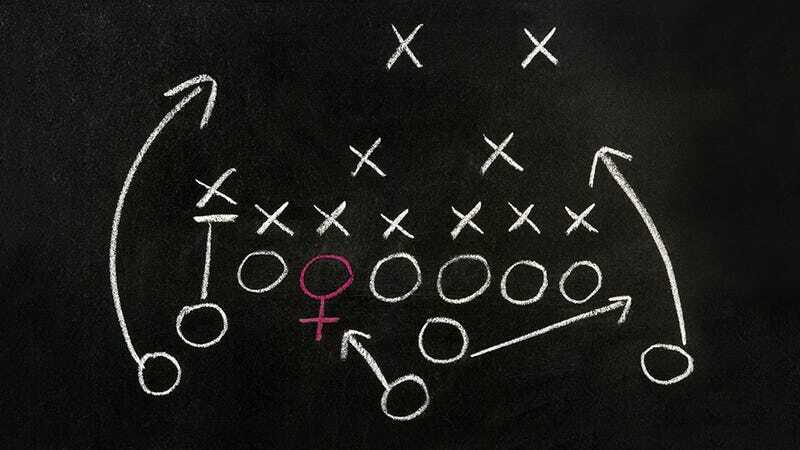 It is a gathering for people like women, actually, because as author David Holloway noted in the opening sentence of his piece, "Football can be a confusing and often vexing concept, especially for women." This story has been edited to remove incorrect and offensive assumptions about women and football. We apologize for the error in judgment. "This is for the wife or girlfriend," Savage said, "that maybe the man is really into the game, and she wants to know more so she can enjoy it more when they go to a game or they're watching on television. At the same time, this is for the mom whose kid is playing youth football or high school football, and they want to know more about it. What position is he playing? What are his responsibilities? What to really look for. "It doesn't really matter what level of the game they know, I think they'll come away knowing more about it." Coincidentally, this tactic as employed by the minds behind the Senior Bowl is also being taken on by NBCUniversal, who is hoping to make Sunday Night Football amenable to women outside of the Mobile, Alabama area. Variety reports that the media company is changing its marketing campaign this year, featuring ads across their properties (like E!) with everyone from Heidi Klum to Joan and Melissa Rivers to the team of Today. In each ad, the stars attempt to sing the Sunday Night Football theme song. The word "inclusive" is used by another executive, because this is all an attempt to assure that Sunday Night Football "remains the number-one show in television,” said Miller. Though NBC's tactic might be far subtler than AL.com's original quite accurate description of the intention of the Senior Bowl's event, the purpose and motivation for all actors is the same: make more money by harnessing the spending power of women. Image by Sam Woolley, source via Iwona Grodzka/Shutterstock.